The Indo-Iranian languages are one branch of the Indo-European language family. 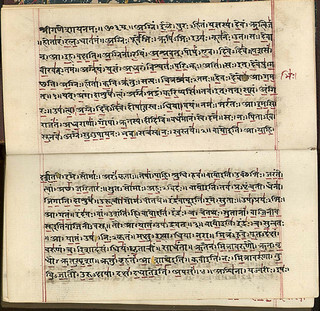 Among the attested Indo-Iranian languages, the Indo-Aryan language Sanskrit, with its two dialects Vedic and Classical Sanskrit, as well as the Iranian languages Avestan and Old Persian are the oldest. The focus of this project lies on a peculiarity of the pronominal system of these languages. All Old Indo-Iranian pronouns are inflected for case and number. Furthermore, certain types of pronouns, e.g. demonstrative pronouns, are also inflected for gender. Thus, demonstrative pronouns like Vedic sá(s) (M.), sā́ (F.) tád (N.) 'this' change their form depending on the gender of their referent. In contrast to this, personal pronouns like Vedic ahám 'I' appear in the same form regardless of the gender of their referent. There are, however, four exceptions to this system. The Vedic forms īm, sīm, íd and cid are not inflected at all, neither for case, nor for number, nor for gender. The forms īm and sīm are used as accusatives, regardless of the number and gender of their referent. In addition to that, these two forms have a second function, namely that of a particle. The latter function is also attested for íd and cid. However, even though íd and cid etymologically derive from pronouns, it appears that they have lost their pronominal function entirely in Vedic. In order to explain the situation in Vedic, it is also necessary to investigate the Iranian cognates of the relevant forms. These are 1) Old Avestan īm, ī, Young Avestan ī (: Vedic īm) 2) Avestan hīm : Old Persian šim (: Vedic sīm) 3) Old Avestan īt̰, Young Avestan it̰ (: Vedic íd) 4) Old Avestan °čīt̰, Young Avestan °čit̰, : Old Persian °čiy (: Vedic cid). The situation in the Iranian languages is quite different to that of Vedic. For instance, Old Avestan īt̰ primarily has the function of a pronoun, unlike its Vedic cognate íd. Furthermore, it appears to be part of a larger paradigm together with īm. The task of this project is a detailed investigation of the synchronic status of the four relevant forms in Vedic, Avestan and Old Persian. 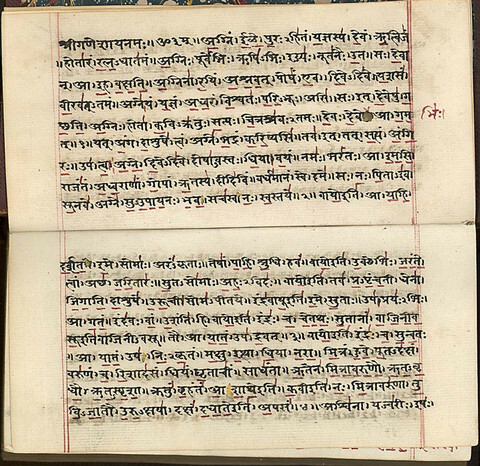 On the Indo-Aryan side, the two oldest Vedic texts, the Rigveda and the Atharvaveda, serve as a corpus for this investigation. On the Iranian side, the whole corpus of Avestan as well as Old Persian is used. 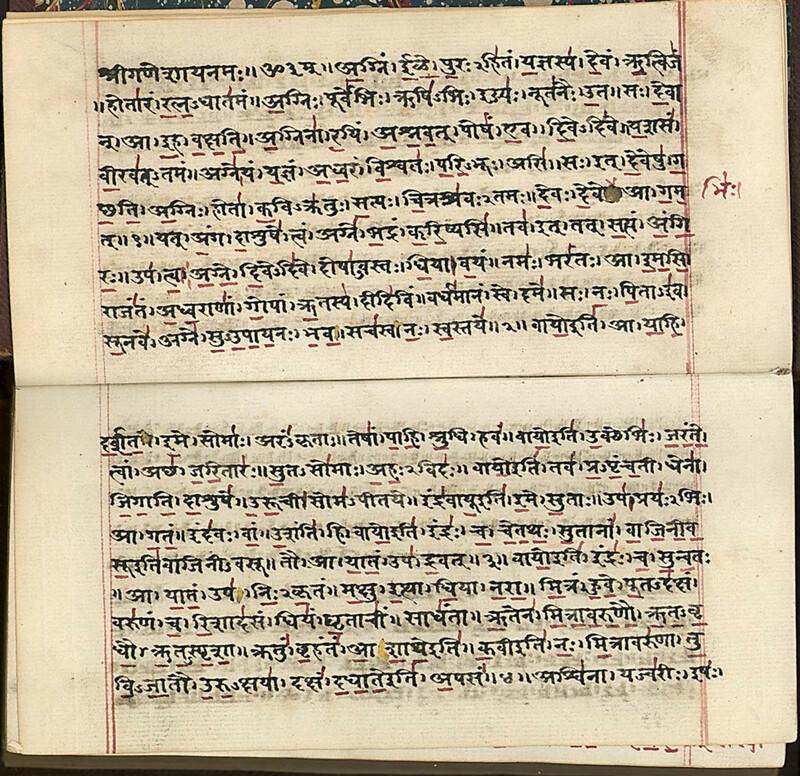 The results of this investigation may then serve to draw conclusions about the diachronic development of these forms and thus account for both the similarities and the differences in the use of these forms in the three Old Indo-Iranian languages. Pascal Coenen studied Linguistics at the Heinrich-Heine-Universität Düsseldorf, where he aquired his B.A.. During this time, he worked as a teaching assistant at the Department of General Linguistics and as a student assistant in the DFG Collaborative Research Centre 991 “The Structure of Representations in Language, Cognition, and Science”. After his B.A., Pascal Coenen studied Linguistics at the University of Cologne and acquired his M.A. in November 2017. The title of his M.A. thesis was “Der Kausativ in Zaghawa”. Besides his interest in language documentation and description, he also focused on Indo-European Studies. During his M.A. program, he worked as a research assistant at the Department of Linguistics. Since January 2018, Pascal Coenen has been working as a doctoral researcher in the project “Differential subject marking in Old Indo-Iranian”, which is associated with the CRC 1252 “Prominence in Language”. 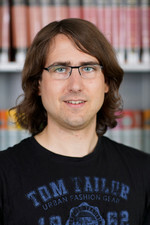 Since April 2018, he has been a doctoral student at the University of Cologne. His supervisor is Prof. Eugen Hill. “Der Kausativ in Zaghawa (Wagi)”, March 20, 2018, conference “Vielfaltslinguistik: 2. Konferenz zu Typologie und Feldforschung”, Humboldt-Universität zu Berlin. “Differentielle Subjektmarkierung im Indoiranischen“, April 6, 2018, conference “4. Indogermanistisches Forschungskolloquium”, University of Zurich. “Agentivity and prominence: the case of differential subject marking in Old Indo-Iranian” (together with Michael Frotscher), July 13, 2018, conference “Second International Conference ‘Prominence in Language’”, University of Cologne.